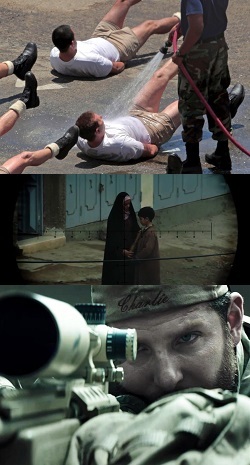 In Clint Eastwood’s film American Sniper (2014) the central character, Chris Kyle (Bradley Cooper), is a Texan who grew up wanting to live the life of a "cowboy" content to chase the rodeo circuit on weekends, drink Lone Star beer with his brother, and fornicate with his girlfriend. That changed when world events like the 1998 attacks on U.S. embassies in Tanzania and Kenya ignited his “sheepdog” instincts prompting him to enlist as a Navy Seal. 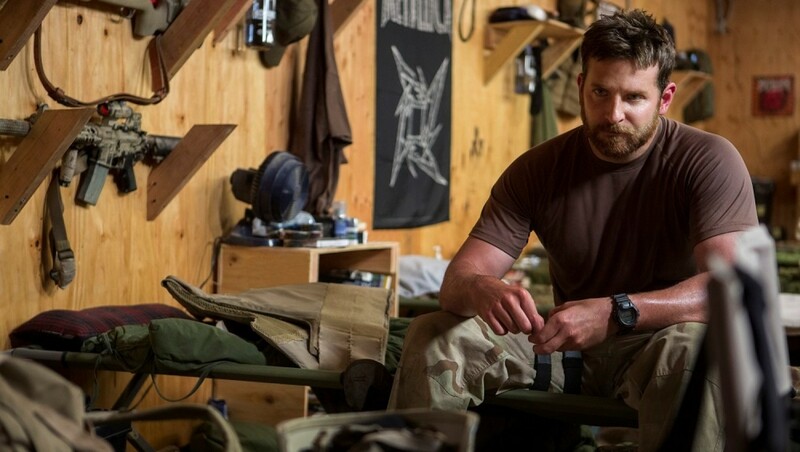 Following his enlistment and marriage to his new girlfriend Taya (Sienna Miller) the remainder of the film covers his four tours in the Iraq War and his struggle to work out a balance between his family life and his military career. Early in the biopic, in a flash back to a family meal following an incident of bullying and brotherly retribution at school, Kyle's father (Ben Reed) tells his young sons a parable about sheep, wolves, and sheepdogs. Ending with a threat of punishment should they become wolves, the Kyle boys hear their father say, “There are three types of people in this world: sheep, wolves, and sheepdogs. Some people prefer to believe that evil doesn’t exist in the world, and if it ever darkened their doorstep, they wouldn’t know how to protect themselves. Those are the sheep.” He continues, “Then you’ve got predators who use violence to prey on the weak. They’re the wolves. And then there are those blessed with the gift of aggression, an overpowering need to protect the flock. These men are the rare breed who live to confront the wolf. They are the sheepdogs.” The secular parable of the sheep, wolves, and sheepdogs undergirds Kyle's thoughts, words and deeds throughout Eastwood's film and define Kyle as a man. Kyle was a good marksman growing up, a skill that landed him a military posting as a Navy Seal sniper protecting marines. His prowess as a sniper gained him nicknames like "The Legend" from his friends and the “Devil of Ramadim," from his enemies. He accumulated 160 confirmed sniper kills between 2003 and 2009. In the house-to-house hunt for the Al Qaeda leaderAl-Zarqawi and his operatives, snipers played an integral part by protecting convoys and soldiers. Eastwood places Kyle in the thick of the Iraq war’s unfolding story, hot on the trial of Zarqawi and his number two man, a "wolf," who horrifically tortured and killed his adversaries with a power drill. 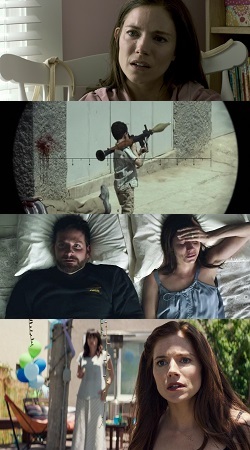 While most of the plot takes place in Iraq, Eastwood also provides viewers a window into the difficult stateside home life of the Kyle family between Chris’ tours of duty as he struggles to adapt to civilian life. Much of the film’s drama comes from Kyle's conflicting vocations. On the one hand he's called to be a husband to his wife Taya and support their family; on the other hand he was called to protect his fellow soldiers fighting in Iraq and ultimately protect America and his family. While in Iraq he thinks about his family and while in the USA he thinks about the people he isn't helping in the war. This sentiment is encapsulated in a statement Chris makes to a Navy physician while being assessed for Post Traumatic Stress Disorder (PTSD). Navy Doctor: "Do you ever think that... you might have seen things or... done some things over there that you wish you hadn't?" Kyle: "Oh, that's not me. No." Navy Doctor: "What's not you?" Kyle: "I was just protecting my guys; they were trying to kill... our soldiers and I... I'm willing to meet my Creator and answer for every shot that I took. "…"The thing that... haunts me are all the guys that I couldn't save." Eastwood portrays Kyle as a sincere, if not deeply pious, Christian. In a scene similar to one in the recent Angelina Jolie film Unbroken (2014) Kyle attends church as a young boy and Eastwood makes a point of showing how Kyle carries a Bible with him into combat—a Bible stolen out of the church pew as a kid. Kyle also voices his priorities in life in descending order: God, country, and family. Not everyone orders their priorities similarly; secular Americans will knock God right out of the list. While it is good to find these Christian elements in the film, there is no real mention of Jesus. However, there is one moment when a fellow soldier, Marc Lee (Luke Grimes), asks Kyle about the Bible he carries into combat and it feels like Kyle might tell him about Jesus. In the early scene at church when Kyle steals the Bible, the preacher talks about St. Paul’s conversion and about sight. The scene goes by quickly but pay attention because the most important asset a sniper has is his ability to see. American Sniperaddresses Kyle's ability to see sharply on the battle field, to see rightly when he pulls the trigger against those who would do harm, and finally to see clearly in a vocational way regarding his responsibilities to his wife and family. Kyle begins to see this last thing plainly when a sandstorm descends upon him and his fellow soldiers and the sand eventually blinds him. For the most part the film is a-political. It spends practically no time going into the details of American politics surrounding the Iraq war. There are no memorable images of President Bush or any other notable American government officials and, apart from the brief news reports of the 1998 embassies attacks and 9/11 shown from the vantage point of a person watching them on TV, there is no use of news footage from sources like FoxNews, CNN, or MSNBC. Since Eastwood doesn't spend time providing a nuanced and textured portrait of the Iraqi people, the film may feel unbalanced in favour of America for some viewers. Frankly, the balance Eastwood seemed to be striving to portray was the balance within one man's heart and not between two peoples at war. Is the film patriotic? It certainly doesn't have the crass false-patriotism of a blaring Presidents Day car dealership commercial. It's respectful of the pain, suffering and sacrifices military families go through, and where it waves the flag it is for the memory of a soldier who, even though he was a "legend" in military circles, might end up lost in the shuffle of history. Because the film's primary focus is on one man, and because that one man, while not piously devout, is still recognizable as a white heterosexual Christian, there will be critics who say Kyle doesn't represent a comprehensive picture of who America is and they would be right. However, to be fair it did not appear like Eastwood's goal in making the film was to present a comprehensive picture of who America is. 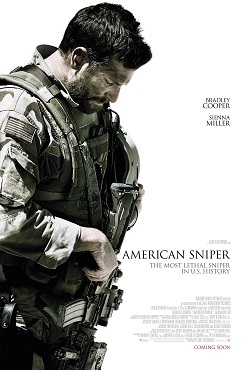 Chris Kyle's personal story is in the driver’s seat of this film; America is riding shotgun. Eastwood provides quality direction and his pacing is particularly good. Bradley Cooper's Oscar-nominated performance is even stronger. In fact, Cooper's performance is much more nuanced and likable than his work in American Hustle (2013) or Silver Linings Playbook (2012). 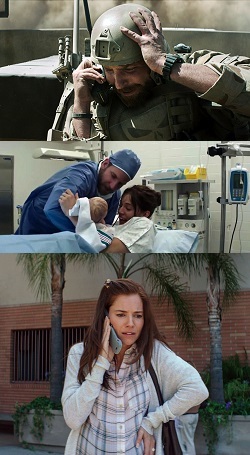 American Sniper includes some very difficult and uncomfortable moments to watch both on and off the battle field and is not a movie for everyone. That being said, it is doing exceedingly well in the box office and may be benefiting from the recent release of three WWII films: Fury (2014), Unbroken, and the Imitation Game (2014). Coming at just the right time and telling a story from a controversial war still in the minds of the American public, American Snipertackles the part of the story Angelina Jolie sidestepped in Unbroken—a soldier’s life away from the war. 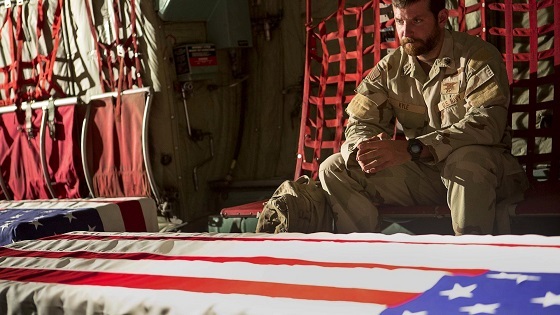 When it comes to the film American Sniper the viewer gets the Chris Kyle that Eastwood wants them to have—not necessarily the Chris Kyle of Kyle’s memoir. Eastwood's film is essentially the story of a sheepdog who begins the film as a "legend" in his own mind and ends the film as decorated war hero who truly became "the legend" to the soldiers he kept safe and to his family he learned to love and honour. You can also find this article featured in the Reporter and in the Canadian Lutheran on-line. Table of Duties, Luther's Small Catechism, Concordia Publishing House 2005, pg 36-39.